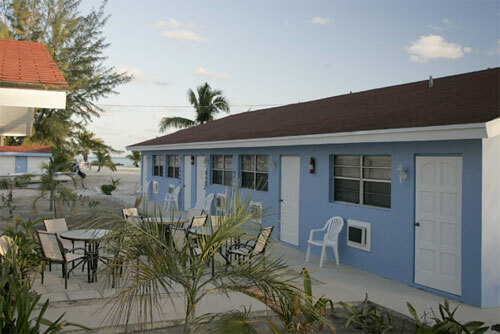 Andros South is located in the settlement of Kemp’s Bay on the eastern shore of South Andros Island in the western Bahamas. 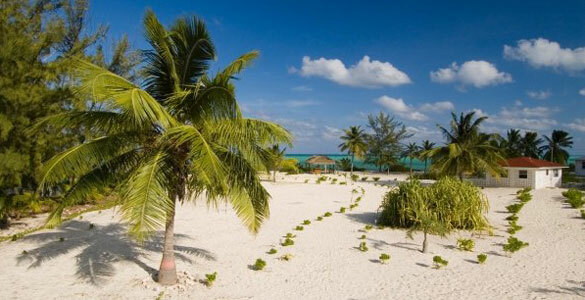 South Andros is the southernmost portion of Andros Island, the largest and least-inhabited island in the Bahamas. 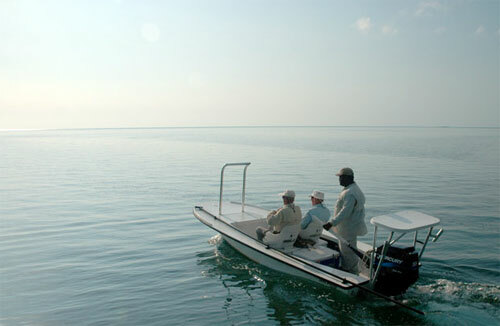 Andros South is a friendly, laid-back bonefishing lodge that concentrates on providing a fishing experience that is second to none. 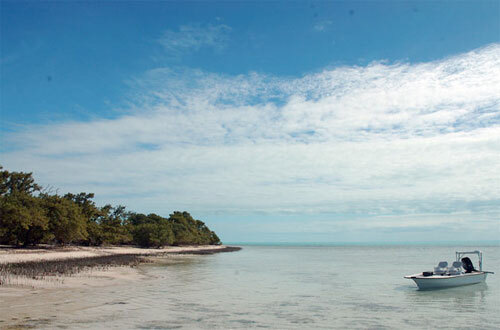 With South Andros Island’s endless, diverse flats and creeks, the opportunities are boundless. Regardless of your experience level, it is our goal to make every trip to Andros South a trip of a lifetime. 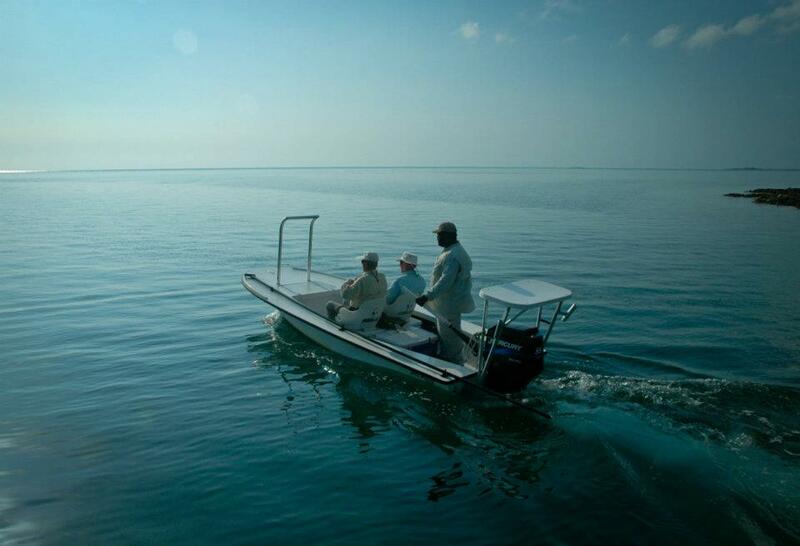 For anglers from novice to expert, the expert staff and extremely diverse fishery will allow you to experience a trip that exceeds your expectations. If you are looking for white linen tablecloths, you should look elsewhere. 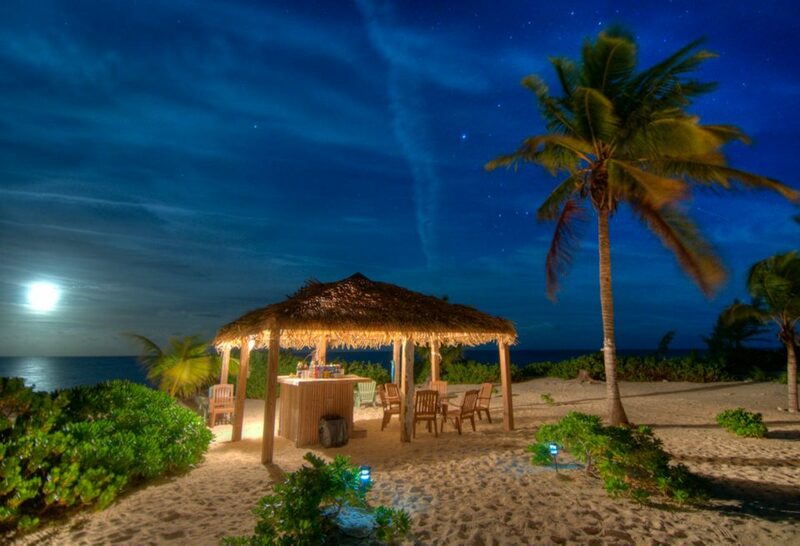 If you’re looking for a very comfortable place to spend the week fishing, relaxing and enjoying a remote, quiet island in the Bahamas, you’ve come to the right place. South Andros is flanked to the east by The Tongue of the Ocean, a deep-water trough that drops to more than five thousand feet not more than a mile offshore. Along the edge of the drop lies the third largest barrier reef in the world. 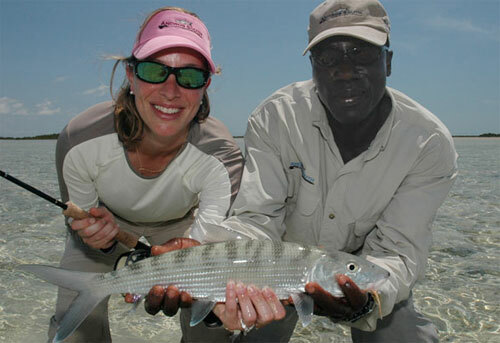 South Andros Island itself is riddled with innumerable tidal creeks and inland flats, all home to hundreds of thousands of hungry bonefish. 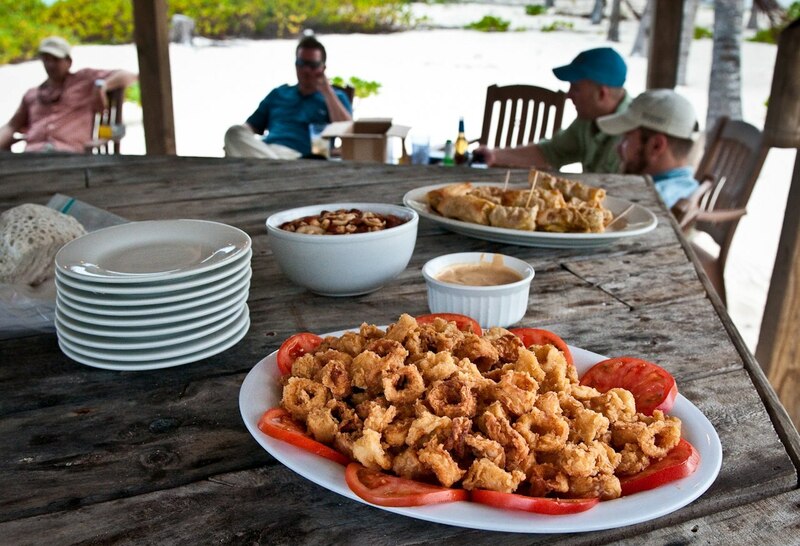 Variety is definitely the spice of life here on South Andros. 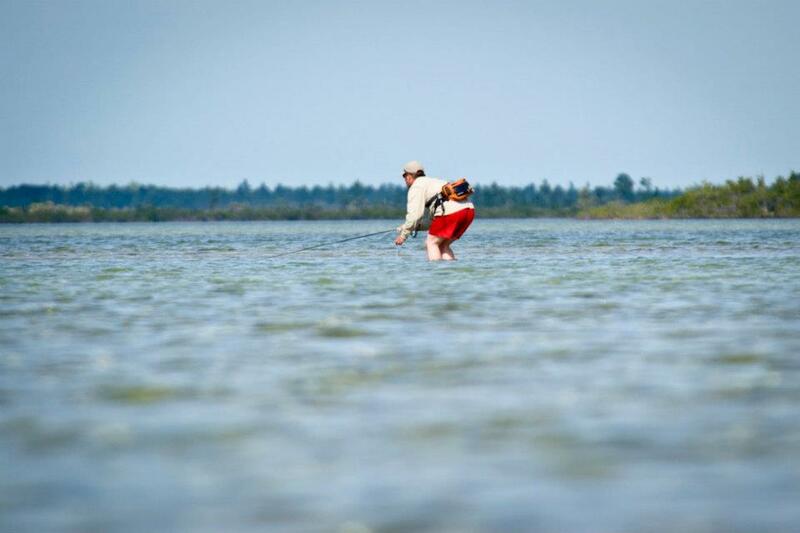 There are miles and miles of easily-waded white sand flats as well as hidden, unspoiled mangrove creeks peppered with large singles and doubles. 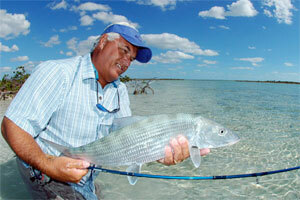 Inland lakes fill up with eager schools of bonefish on the change of every tide. 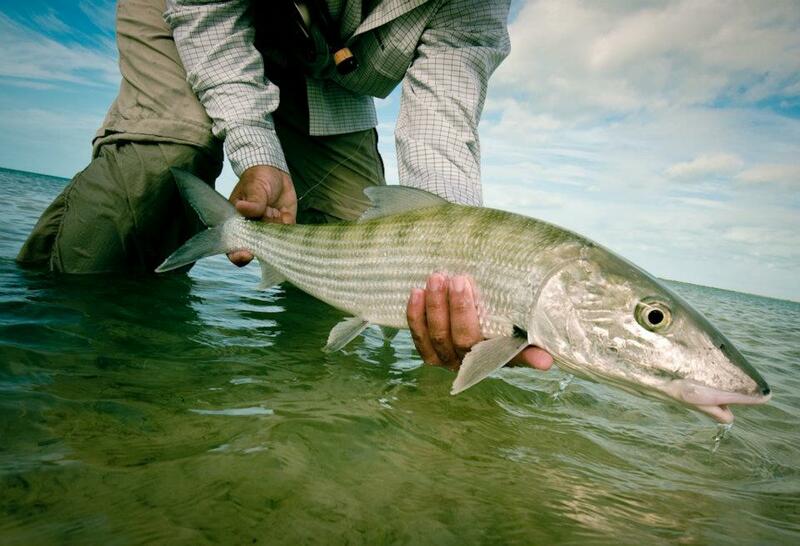 Expansive ocean-side flats attract bruisers from the deep (no, that’s no shark – it’s a bonefish, mon – cast now!). 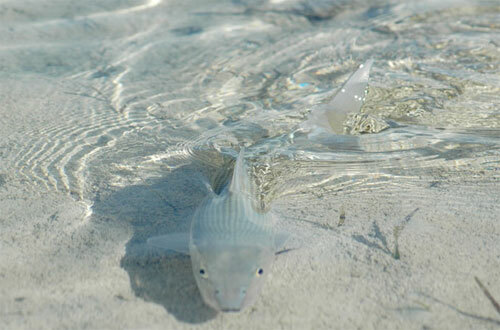 Remote, rarely visited cays are home only to schools of bonefish numbering in the thousands. 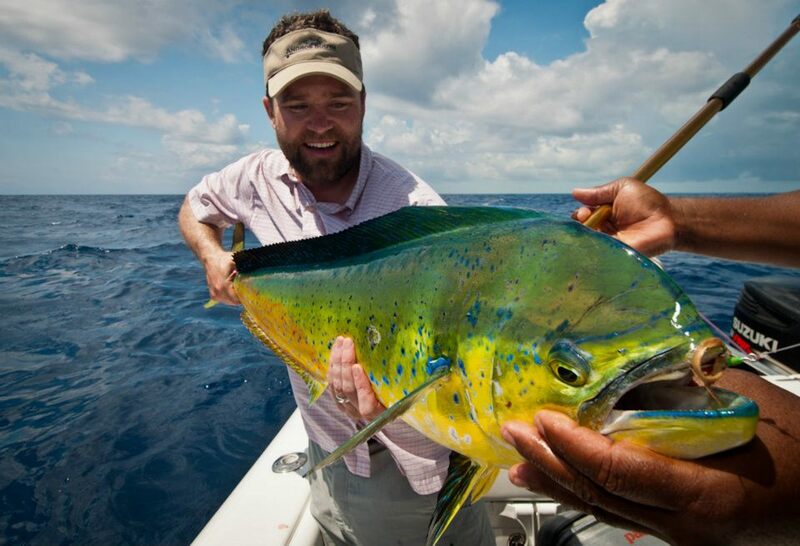 The diversity and size of the fishery mean a completely different fishing experience every day of your trip. 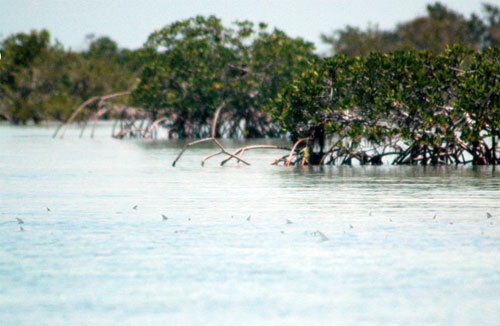 The flats of South Andros teem with life. 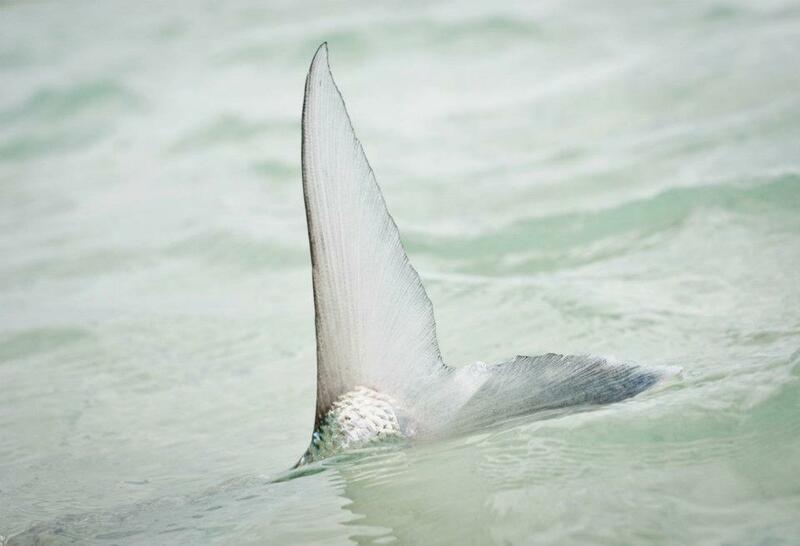 In addition to our incredible population of bonefish, we’ve got great sight fishing on the flats for barracuda, and even for sharks, if you and your tackle are up to it! Some anglers enjoy looking for permit when the conditions are right, and a lucky guest in the right place at the right time might even seem a tarpon swim by. Adding to the varied experience at Andros South, we offer an offshore fishing program in which guests use fly and conventional tackle to target dorado, tuna, wahoo and more. If you really want the big pull, here’s your shot! Most of the major towns on South Andros are scattered along its northeastern coast. Heading south, the settlements become more remote and are well worth a visit for palm-fringed beaches and warm and friendly people. Driggs Hill, Congo Town, and Kemp’s Bay are ideal for long walks among wild orchids and relaxing in hammocks under the palms. 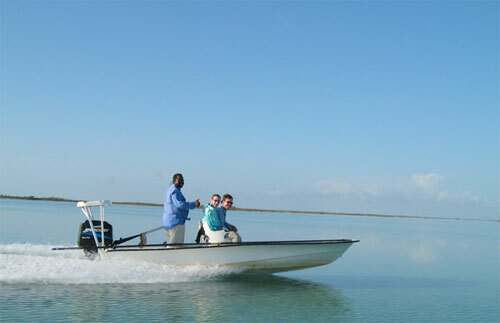 Nearly everyone lives and fishes on the eastern shore of South Andros. 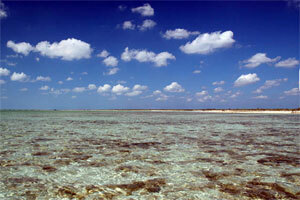 The reef is the third greatest in the world, over 125 miles long. 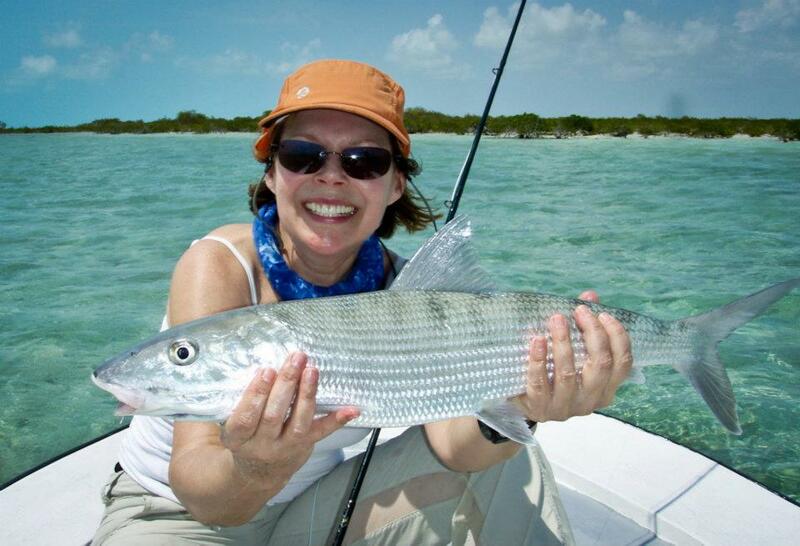 It presents a spectacular opportunity for snorkeling and diving, not to mention fishing for barracuda, wahoo, snapper, jacks, and yes, bonefish too, at times. Andros Island is altogether more than 100 miles long, north to south. It is divided by three large “rivers” or bights, flowing through the middle of the island, east to west, making the larger North and South Andros islands and the smaller middle islands, Big Wood Cay and Mangrove Cay. 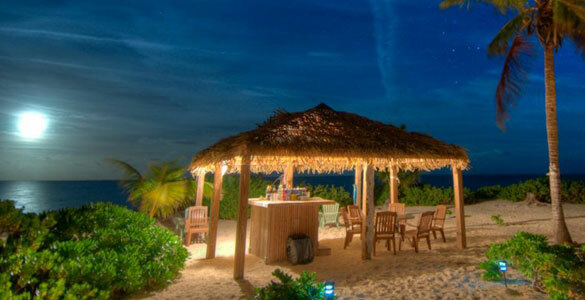 The lodge is situated on a beautiful white sand beach, taking advantage of the warm trade winds of the Bahamas. Take a relaxing swim each evening, or maybe a walk or a run. 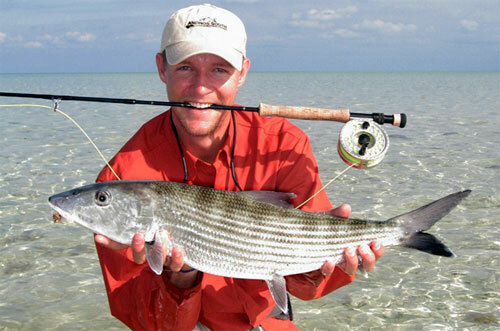 You may even want to wade in with your fly rod and hone your casting while gazing out at azure blue water. 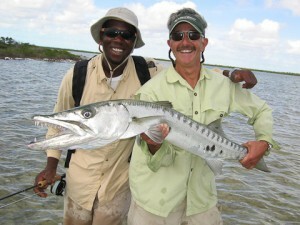 There are also hungry barracuda and the occasional large bonefish cruising along the white sand. If you find yourself in need of a longer beach to run on, you can head just north of the marina/public dock and find yourself on a white sand beach that stretches as far as you can see. 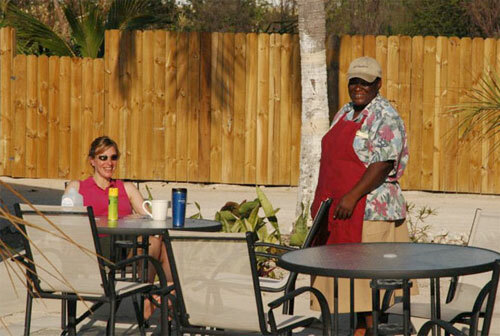 Our grounds are well-maintained and filled with coconut palms and a variety of other native plants. 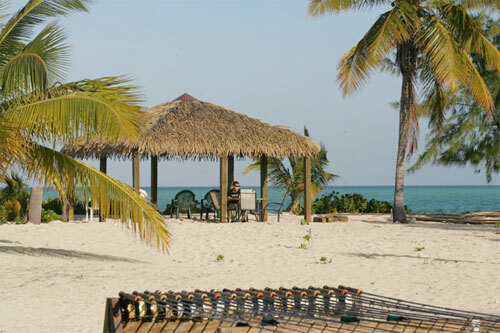 Our beach is the perfect place to practice your casting in preparation for your next day of fishing. To the south of us are the cottages and homes of some local families as well as a few Spanish fishermen. They are warm friendly folks and you’ll find them to be a wonderful addition to your experience. An evening walk over to the public dock north of the property can be worth your while. This is where the locals head off for a day at sea and return in the evening to clean their catch. Remember to bring your rod, as this is also a great place to fish at night for snapper, barracuda or the occasional shark. 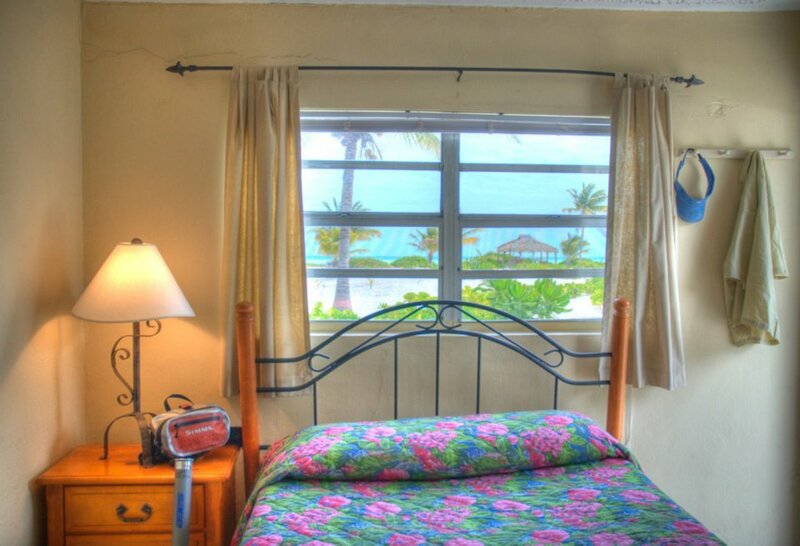 Our rooms are clean, comfortable, and air-conditioned. 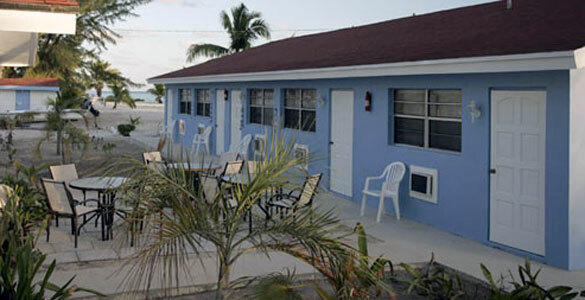 Each has its own bathroom, which awaits you with a warm relaxing shower at the end of your fishing day. Did we mention each guest gets his own room? Yes, it is true! No listening to your “good buddy” snore all night. 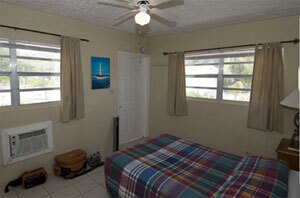 Each room has tile floors and is furnished with comfortable beds and modern dressers and nightstands. Our dining room is welcoming and laid back. It is perfect to enjoy cocktails, great meals and conversation with friends, both new and old. Boy, do we have seafood! Many other great dishes too, like jerk chicken and ribs. 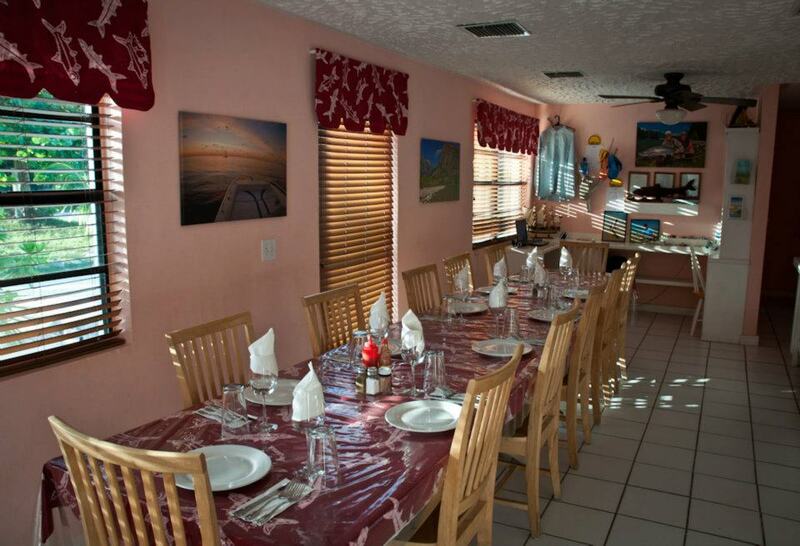 During your stay you will be treated to lots of fresh local seafood. From fresh snapper and grouper, to lobster and conch, this is fresh fish at its finest. We’re happy to take special requests for food – if you’ve got dietary requirements, or just a personal preference, let us know and we’ll and we’ll cook something up just for you. 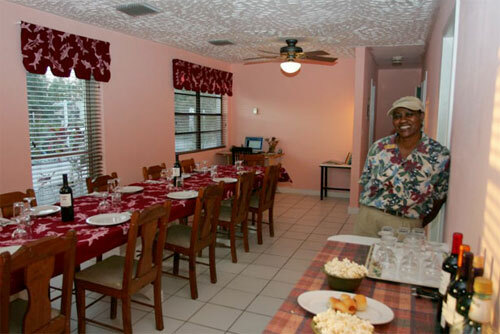 You will enjoy a variety of dishes, with an emphasis on traditional Bahamian cooking. The main dish is always complimented with hearty side dishes and topped off with a variety of truly sinful desserts. You definitely won’t go hungry here. Homemade key lime pie, anyone? 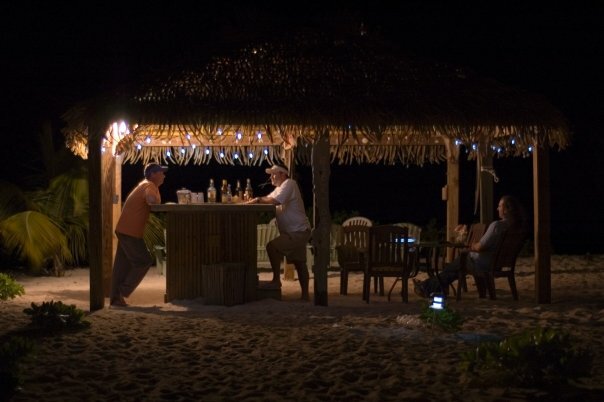 Located right on the beach is our tiki bar that we affectionately call ‘The Slack Tide’. 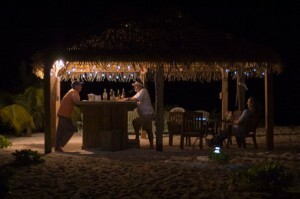 This is a favorite spot to enjoy the beach, the breeze and drinks and appetizers at the end of your fishing day. Location, location, location. 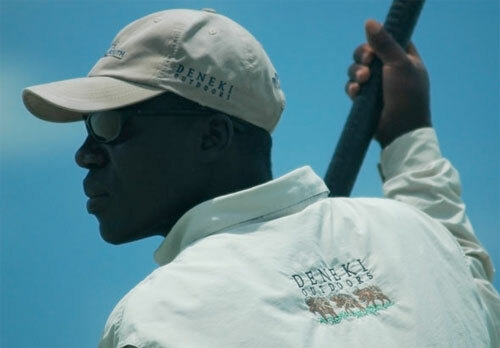 When it comes to bonefish, no amount of preparation, equipment or planning can replace the natural bounty that the productive, unexploited bonefishing location of Andros South delivers. 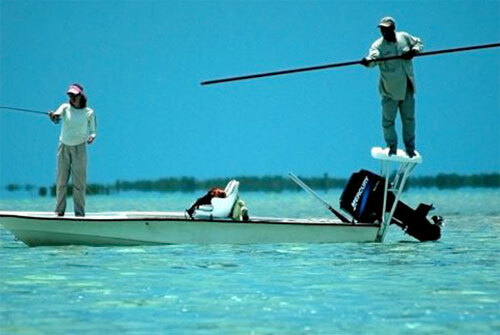 South Andros Island is widely known as the Bonefishing Capital of the World. With the island’s endless, diverse flats, the opportunities are boundless. 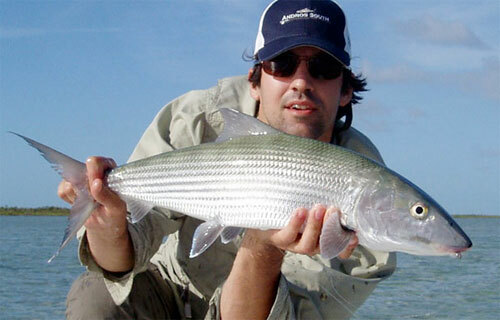 You want to fish to giant schools of hungry bonefish? No problem. Have your sights set on casting to large tailing bones? We can make it happen. Most of your encounters with bonefish will be on extensive shallow flats or winding mangrove creeks in 1 to 2 feet of water. The fish will often be moving quickly on the tide and grubbing as they go looking for shrimp, crabs, worms, shellfish, baitfish and small invertebrates. 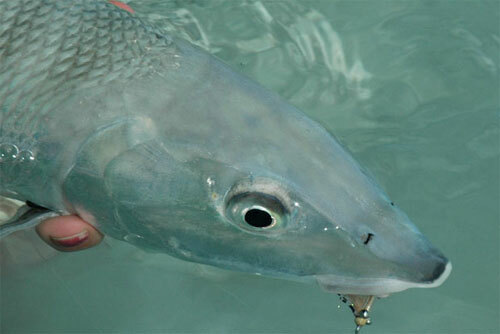 A bonefish’s mouth, unlike that of most other gamefish, is located underneath the head, enabling the fish to easily root around the bottom for food. While you will often see (and cast to) larger schools of relatively easy-to-catch fish, the bruisers will often be traveling in singles or pairs and they offer some of our more challenging fishing. 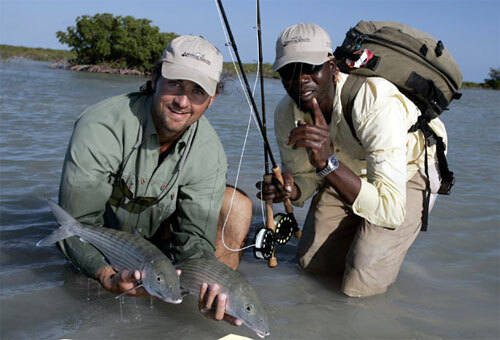 Since bonefishing is often viewed as a combination of fishing and hunting, it is important that you stay alert and watchful for inbound fish. Your guide will put you on the ‘clock’ system to guide your shots at the fish – meaning that if he says look to 1 o’clock at forty feet, that’s where your cast needs to be, pronto! 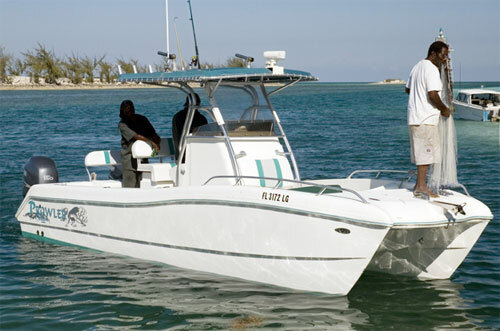 Barracuda will be one of your constant companions here on South Andros. Sight casting on the flats and blind casting in creeks and blue holes can deliver numerous explosive strikes and aerial battles. 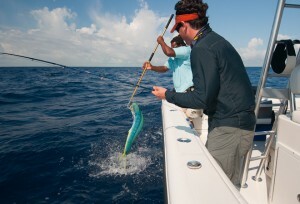 Beyond the opportunistic shots you’ll find throughout each day, ‘cudas offer an excellent option for action on the flats when the rare cold front blows through. 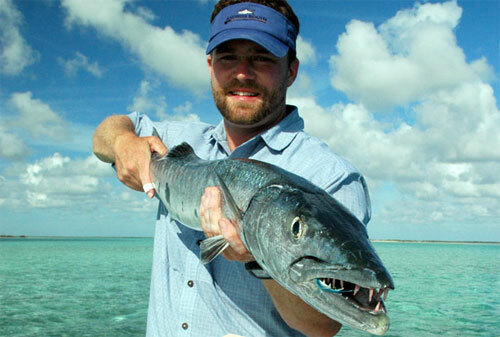 Barracuda are primarily targeted with 9 or 10 weight rods and tropical floating or intermediate sink tip lines. Wire leaders are a must – these are toothy critters. Poppers, Bangers, needlefish flies and large Deceivers are all very effective in antagonizing these aggressive fish into striking. There’s plenty of food for sharks around South Andros, and that means…there are plenty of sharks. 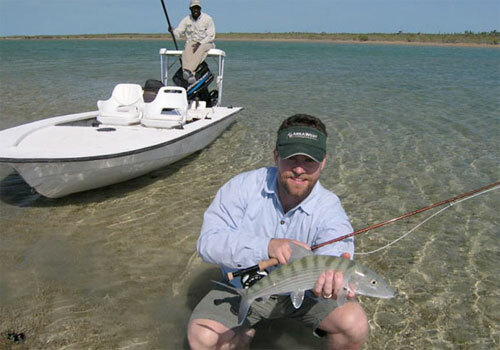 Lemons and blacktips are the species we see most of on the flats. We frequently see sharks that are much too big to be landed with any reasonable fly tackle, but throwing big streamers at some of the smaller sharks is just flat-out fun. They’re aggressive, they’re fast, and they pull really, really hard. Pre-made leaders rigged with wire braid can land some smaller sharks, be we prefer single-strand wire leaders. Sharks have a lot of very sharp teeth, and it’s not uncommon for them to bite through wire braid. Big streamers are the ticket here, and red and orange seem to be the most effective colors. 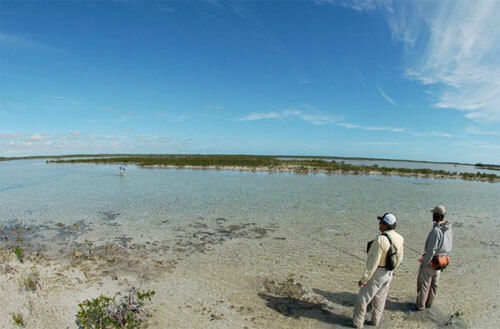 We’ve recently spend some time discovering the best locations and tides for permit on South Andros. While we don’t have big numbers of permits on our flats, a day spent looking for them under the right conditions is likely to result in some shots. There are specific locations, particularly the near shore cays on the Southwest side and some of the ocean flats, holding good populations. And, there are specific periods in the spring season where their inshore numbers increase significantly. Permit here are generally in the 15 to 30 lb. range and are best targeted with a 10-weight with a tropical floating line. Merkins, large mantis shrimp patterns and various yarn crab fly patterns will give you your best shot if you’re lucky enough to spot one. Your guide will let you know if you are visiting an area inhabited by permit so you’ll know to have a 10-weight rigged for the encounter. 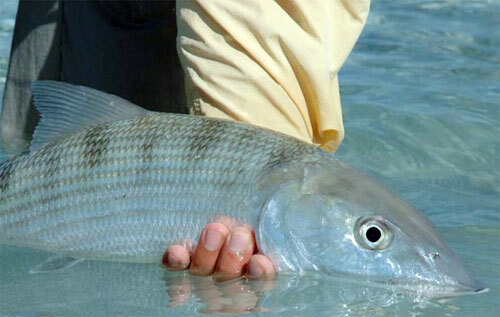 The creek systems and the West side flats harbor populations of both resident and migratory tarpon. 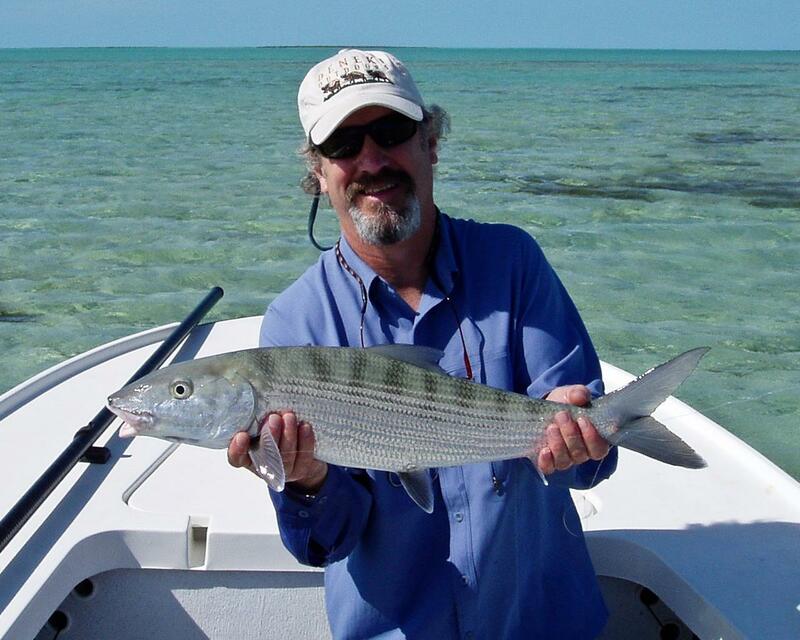 The tarpon fishery continues to develop but the habits and travel routes of South Andros’ silver kings have not yet been patterned to deliver highly consistent fishing. We’ll keep you posted as this fishery further develops. 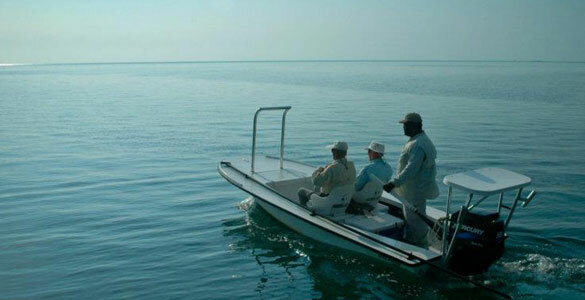 Most of the resident tarpon range in the 40 to 100 lb. class and can be handled on a 10-weight with tropical floating or intermediate sink tip line. 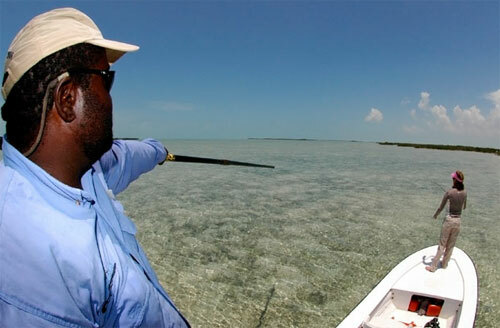 Cockroaches, Bunny flies and Keys-style flies are all good bets if your guide takes you to an area that holds tarpon. 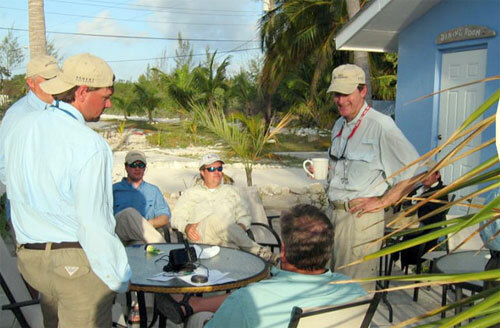 Andros south not only has some world class flats fishing but they also offer a bluewater fishing program that allows guests to sample the great fishing available in the Tongue of the Ocean, just to the east of South Andros Island. 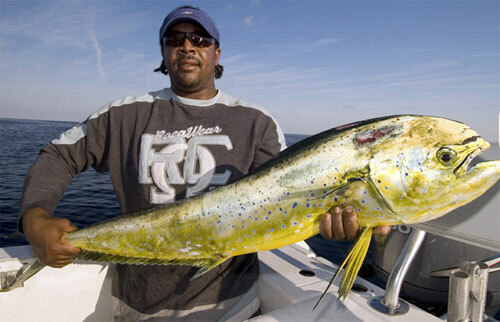 Depending on the season, dorado, tuna, wahoo, king mackerel, ocean barracuda, sharks and other species are available.Anglers use a variety of techniques, including fly fishing, using live bait on spinning gear, and trolling. 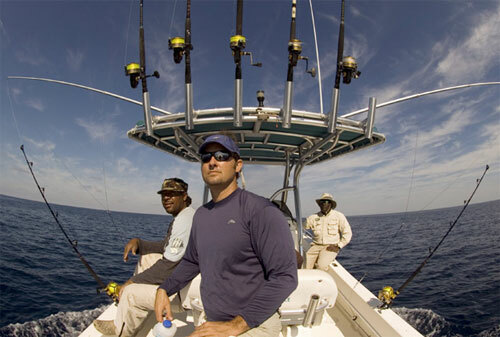 Bottom fishing for snapper and grouper can also be a great option. The fishing platform is a 25-foot power catamaran captained by Rosewell Rahming, an experienced local captain. 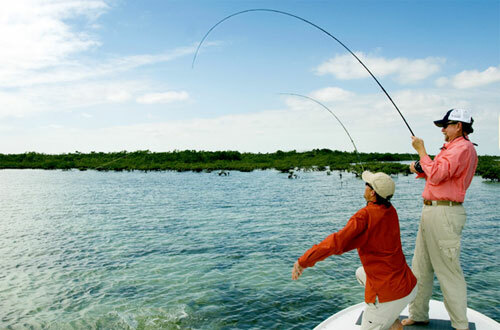 There is an additional charge for each day of bluewater fishing. 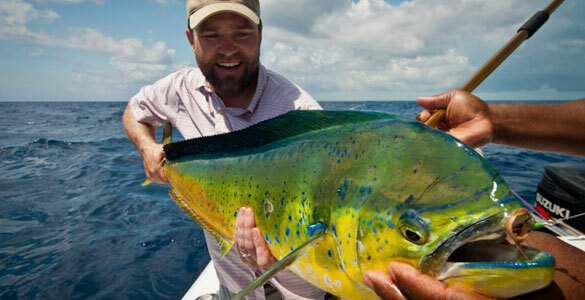 The offshore fishing near South Andros Island is a phenomenal resource, and yet is virtually untouched. Join us for some fun in the deep water! Please contact us for more information. Prices Include: transfer from the Congo Town airstrip to the lodge, SINGLE occupancy lodging, three meals a day, guided fishing each day ( for fishing packages), Loaner fly gear, terminal tackle, flies, and beverages (yes, even alcoholic beverages) Prices quoted are per person in US dollars. For any trip booked at Andros South, you can reschedule your trip, for any reason, with 7 or more days’ notice, for any time within the current season, subject to availability. We do not charge a penalty for rescheduling your trip. As long as you give us 7 days’ notice, we will book you in any available week within the next year. If you reschedule into a week that is more expensive than the week you originally booked, you must pay the difference between your original week and your new week. Within 7 days of your trip, rescheduling is not allowed and refunds are not given. You’re responsible for all charges related to rescheduling your trip, including but not limited to airline change fees and fare changes, hotel charges, etc. The lodge is closed from Mid June through Mid October. 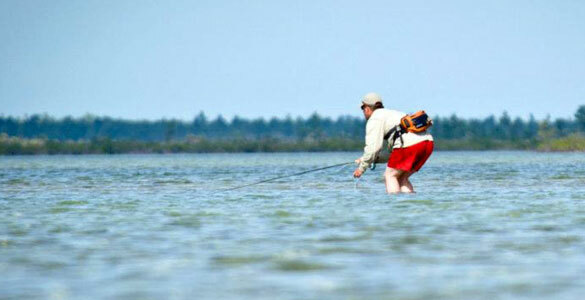 Fishing in December, January, and February are susceptible to cold fronts that can affect the flats fishing. 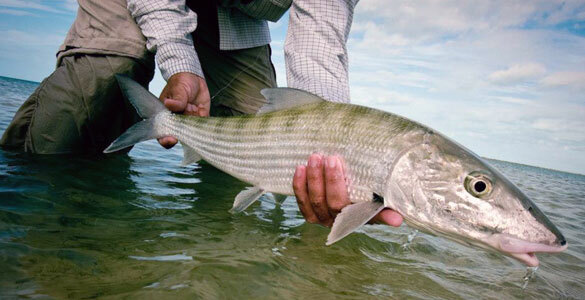 Andros is worth traveling to for one big reason… big bonefish. 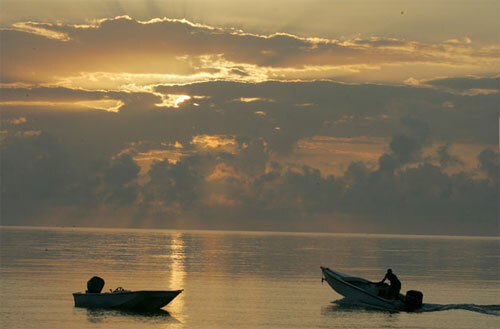 There are a few other things to do like explore the local culture, and some great diving, but pretty much this is a fishing destination and not one of our top picks for a non fishing friend or spouse. 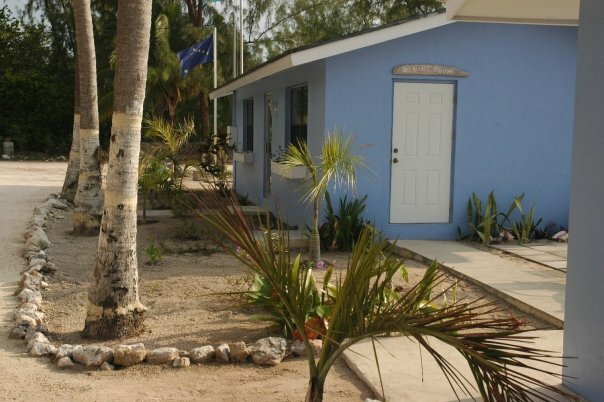 Andros South is a 20-minute drive from the airport in Congo Town on South Andros. There are a couple of options for flying into Congo Town. 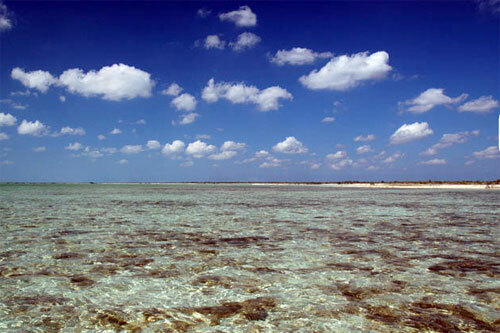 The most popular option for reaching our island is Western Air. Western operates two flights each day from nearby Nassau. 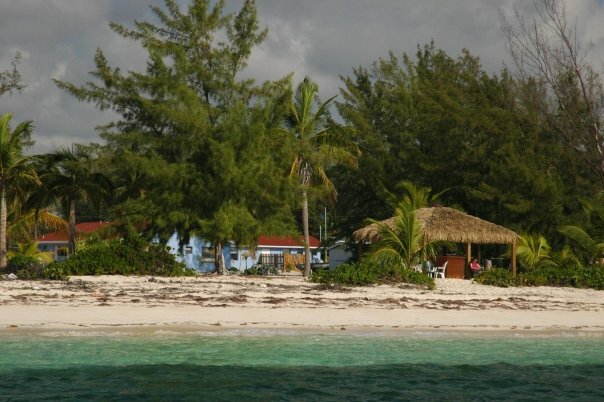 Guests typically take the afternoon flight from Nassau to Congo Town on their arrival day, and the morning flight from Congo Town to Nassau on their departure day. We recommend a 2 hour gap between flights in Nassau on arrival day, and a 3 hour gap between flights in Nassau on departure day. 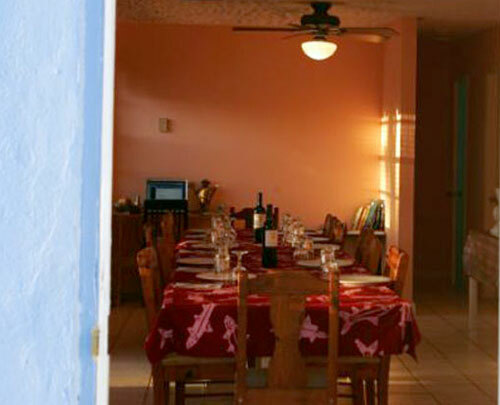 Reservations can be made with Western Air at (242) 329-4000. IMPORTANT NOTE: Western Air accepts only cash for payment. When checking in with Western Air in Nassau, you will need $140 in cash, either US or Bahamian ($1 US = $1 Bahamian), to pay for your round-trip ticket. 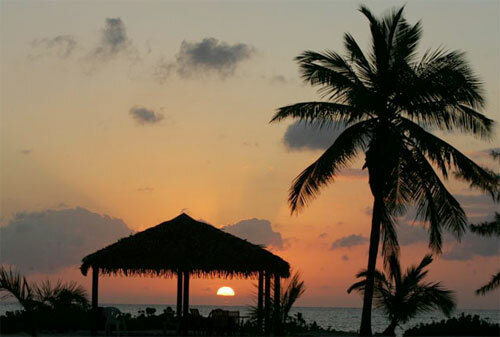 Groups of more than 6 persons may also consider a private charter from Ft. Lauderdale. 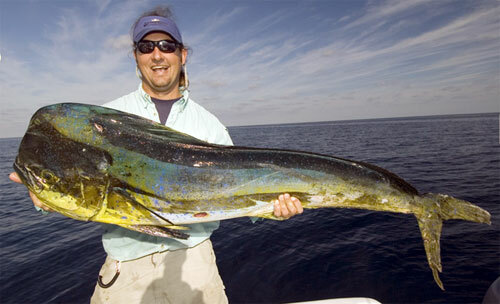 We work with several charter companies in Ft. Lauderdale and would be happy to work with you on a charter. Once you arrive in Congo Town, a representative of our facility will meet you at the airport for the short drive to our lodge. If you’re going to spend some time in Nassau on your way to the lodge and want to know what we think you should do use the drop down link below! 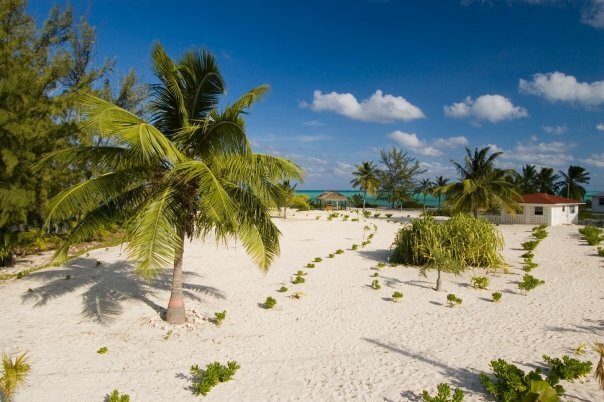 Should I stopover in Nassau? We hear this a lot. 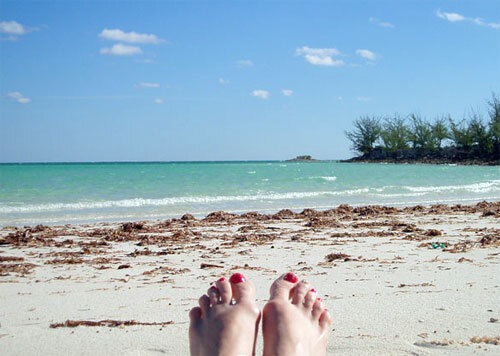 Today’s post is by no means meant to be an exhaustive guide to Nassau. It’s simply meant to answer that question – if you have some time in Nassau, here are a couple of options on how to spend it. Atlantis is a giant Vegas-style hotel/casino/restaurant/beach club complex on Paradise Island, a ~$30 cab ride from the airport. 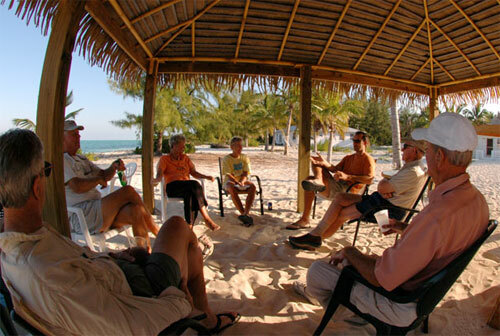 Is it a relaxing, authentic view into real Bahamian life and culture? 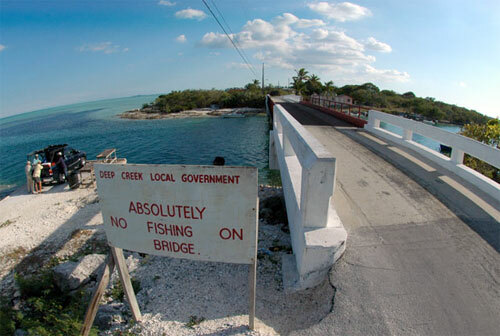 No, not at all – but that’s what you’re going to get on South Andros. If you’ve got the better part of a day to spend, Atlantis is worth checking out. 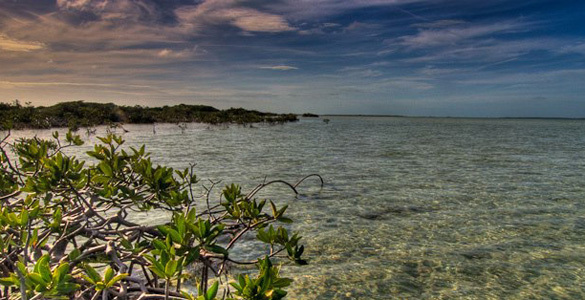 The aquarium complex is amazing and worth the trip by itself – with open-air lagoons, underwater tunnels, and some of the biggest bonefish, tarpon and grouper you’ll see in your life. You can get a day pass for the aquarium area if you’re not staying at the hotel (they claim ‘limited availability’ but we’ve never had a problem). If you’re looking for big-time night life, Atlantis is definitely the best option in Nassau. The casino is pretty big, pretty nice, and an excellent spot for people watching. There are also a bunch of bars, a handful of restaurants and a night club. The cab ride goes right through downtown Nassau, and traffic can be bad. Plan on 30 – 45 minutes, and don’t bother making the trip if you can’t go for 3 or 4 hours. It’s not cheap. Food, drinks, cab rides…none of it is ‘value priced’. Again, it’s a big, fairly polished production – do not expect authenticity! Our favorite restaurant in Nassau is called Indigo Cafe. It’s a short cab ride from the airport. Most of the patrons seem to be locals. The menu is varied, with some traditional Bahamian dishes and some that range more towards Italian. The dining room is nice, and there’s a great outdoor seating area. The service is really friendly. Prices are quite reasonable for very good food. It’s a restaurant in Nassau, therefore the service is not very fast. Relax, go when you have more than an hour to spend, and you’ll be just fine. If you’re coming in late and leaving in the morning and want a nice, clean room that’s close to the airport, you should check out the Sandyport Hotel and Resort. The web site makes it look like just a residential development, but they have nice units where you can stay by the night. If you’re spending more time and want to settle in a bit, we like the Comfort Suites on Paradise Island. The equation here is very simple – it’s clean and perfectly nice, and it’s right next door to Atlantis – so you can have your fun at Atlantis without paying the very, very high room rates at the Atlantis hotels. Casinos that aren’t Atlantis. They’re not much cheaper, they’re not nearly as nice, and they don’t have anywhere near the people watching. The ‘downtown shopping district’. There’s not much to see here, and somehow we think there are better places to buy your Rolex.